Here's the news. I'm focusing on being happy, and I think it's working! For some time one of my main goals has been to find a life partner, but to no avail. Regardless of the amount of energy I put into making a relationship work, I had absolutely no control over the other person's emotional availability or capacity for intimacy. So I have simply shifted my main goal to being happy --something I can control and succeed at. Duh! 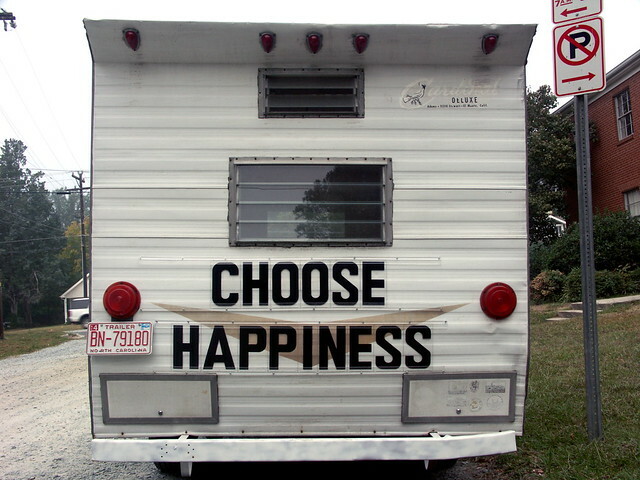 As you might have heard, researchers believe that we can actually CHOOSE HAPPINESS. By implementing certain behaviors and habits, we can raise our happiness baseline (our genetic disposition for happiness) by 40%. My shift towards happiness began at Thanksgiving while I was working on Negative Space. Experiencing FLOW, being fully engaged in creativity, work or play, is one of the habits that increases happiness. Since then I've also developed a new enthusiasm for exercise. Exercise actually gives me a happiness high, so I'm not procrastinating about going to the gym anymore. In fact I haven't been procrastinating much at all these days. I'm meditating every day and being mindful in my life as much as possible. Whenever I notice my thoughts obsessing about the past or future, I choose to stop and I bring myself back to my body and my breath. I'm changing my routines, driving different routes, exploring my neighborhood more, going to a cafe to write instead of staying isolated in my studio. I'm balancing my creative work, time on the computer, and time alone with going out, socializing with friends, and meeting new people. I don't feel the need to please people as much as I used to, because my first priority is pleasing myself! I'm dating for fun, and keeping things simple. I'm not focusing on any one person, or striving to make relationships happen, but am enjoying whatever the other person is able to bring to the table. I'm interacting with a new sense of integrity and it feels great. Finally I'm practicing gratitude and recognizing that I am a blessing to the people in my life, as much as I am blessed. Here are two happiness mantras for the holidays. Play them both simultaneously for a mesmerizing double dose of well being.